Week after week I watched the pre and post-match interviews. As a lifelong Liverpool FC fan I’ve been concerned about the team’s loss of form and I am glued to each of those interviews to see what our manager, Brendan Rodgers had to say. Then of course this becomes the topic with all of the pundits, the former players and it makes for headlines in the newspapers “Rodgers under pressure“..the screw is slowly but surely being turned. Normally the interviews used to focus on the match, the tactics, the performance of players, the injury situation but most of the recent ones were all about his job security. It became the latest episode of an ongoing soap opera. Interview after interview he batted these questions away, not getting frustrated and insisting that he and the team were not affected but instead they were concentrating on their jobs. He recently did speak about the ‘hysteria‘ around his job by the media and he did mention a ‘group’ who wanted him out. He did have a point – it was a little over the top. Match after match the manager of each team must ‘face the music’ – good result or bad result he has to face the media. This must be a tough and very punishing routine when things are not going your way. I was impressed that the Liverpool team started so impressively in the local derby match against Everton. This was a huge game for him and the team – while the match wasn’t perfect the team were very focused despite the pressure. Once again after the match he faced the music – it was the same story. After the same repetitive line of questioning he stated that he didn’t need to look for reassurance from the owners and he hoped he would be the manager for years to come. This was even more cruelty – the team had just earned a good result away to Everton and this was still the big topic of the questioning! An hour later when he got off the team bus he was summoned to the office and relieved of his duties. The pressure valve was finally released. The club confirmed the news by simply posting a press statement on the company website. This was clearly prepared in advance, carefully crafted and just posted on the website and more than likely issued to the media by their press office. Ironically no one in management had to sit in front of the media and ‘face the music‘. Their statement would suffice. Football is a very cruel sport where the players and the managers are in the full glare of the media spotlight constantly and no matter how much they are trained to handle this pressure it must eventually wear them down. Brendan Rodgers – thank you for the incredible highs of the 2013/2014 season where you had the team playing some of the most incredible and exciting football I have ever seen. You very nearly did it! This entry was posted on October 7, 2015 at 10:48 am and is filed under Communications, Media, Motivation, Sport. You can follow any responses to this entry through the RSS 2.0 feed. You can leave a response, or trackback from your own site. It’s not an easy job, is it? We could probably talk for hours on the pluses and minuses of his time in charge. I thought he showed a lot of dignity in the statement he issued afterwards and it reflected well on his character. Personally, I liked the style of football he favoured, but we seemed to be struggling for a long stretch, going back to the latter end of last season. I don’t think the poor results are all down to Brendan Rogers but, as the manager he’ll ultimately get the credit/blame for what transpires. To be fair to the owners, they backed him with plenty of funds, even over the summer. In light of the amount of money spent over the last couple of years it seemed inevitable he would get the boot unless results quickly went his way this campaign. As the games were played this season they just seemed to be drifting along. 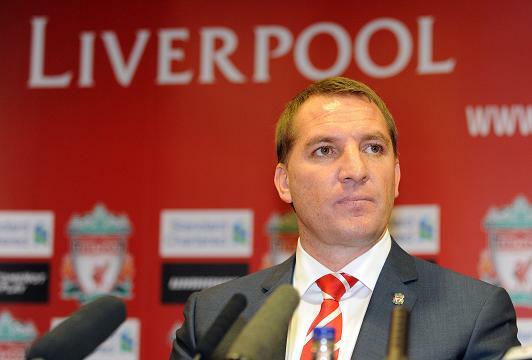 I think by the end Brendan seemed to be at a loss as to how to turn things around. Fergal – I felt the media focus was cruel at the end for him – his statement was really dignified, totally agree. And now we have Klopp …I’m thrilled! When the media senses blood in the water they don’t let up. Sometimes you get the feeling that pressure causes it to become a self-fulfilling prophecy. I agree with you about the way Brendan conducted himself throughout. Hopefully he’ll recover and have more success in the future (not at our expense though!). I’m excited about our new man, as well (while trying not to get carried away!). The early signs are good and even his name fits! The only way they could have have topped that was by hiring Anne Field! Fingers and toes crossed fergal!